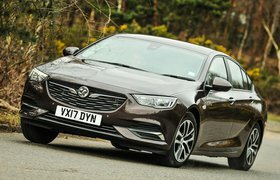 Used Vauxhall Insignia 08-17 long-term review | What Car? 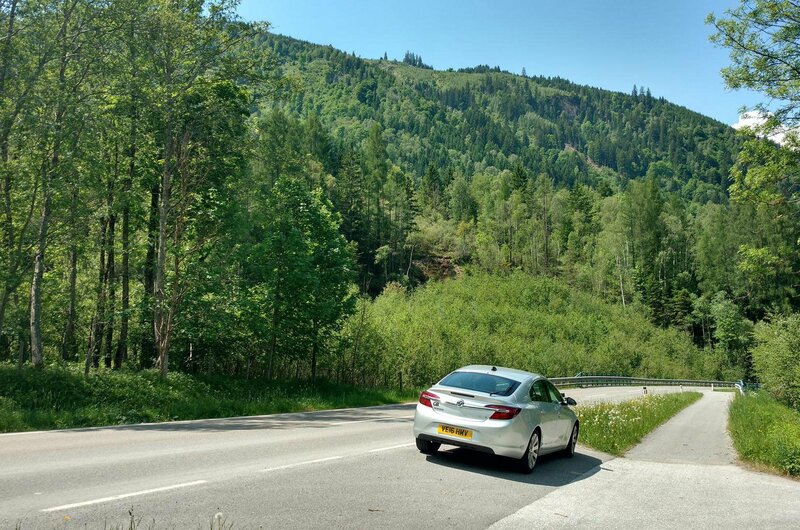 Last month, you’ll remember me talking about the 2,000-mile-odd road trip I had planned for the Insignia. Well, as the bumper crop of dead flies on the nose and the magnetic GB badge on the rump testify, it has now completed the trip. And undertaking all the driving myself, as you’d expect, it’s given me plenty of time to get to know the Insignia intimately. I have to say, it did pretty well. 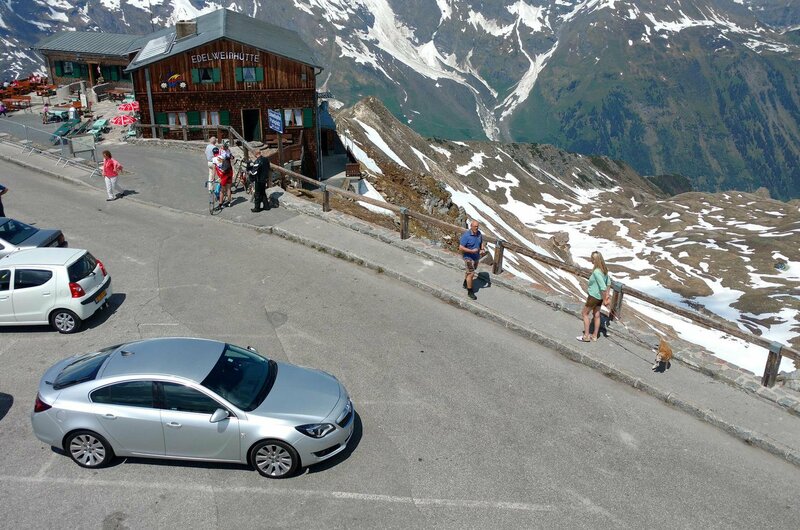 Many of those miles were done at a steady cruise of 100mph on the German autobahns; what’s more, the Insignia also had to face a tough climb up to 8,400 feet – and back down again – as it tackled the famous Grossglockner pass in the Austrian Alps. All this it took in its stride – especially impressive given that the engine is so small, and for much of the trip the car was fairly well loaded up. The one overriding impression I’ve come away with is one of comfort. This I put down almost entirely to the seats – as I mentioned in earlier reports, these are the optional extra ergonomic sports seats, discernible by their horizontal fluting, rather than the vertical of the standard items. 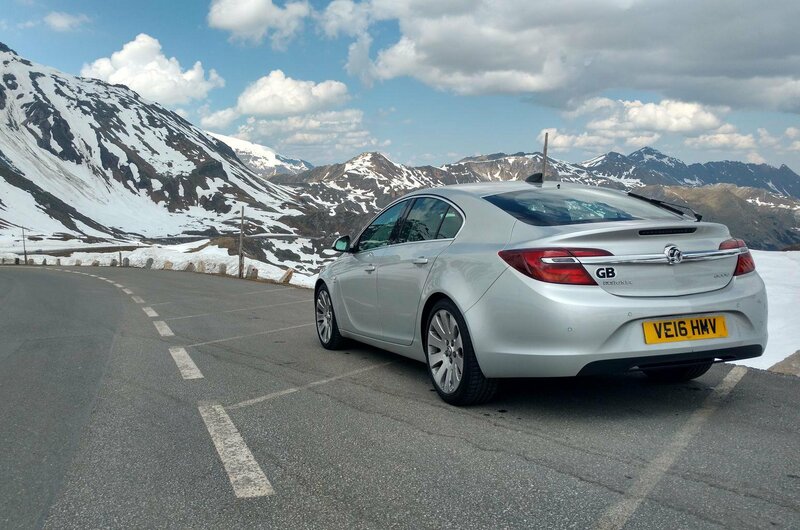 If you’re thinking of buying an Insignia, I strongly recommend finding one with these seats fitted – after multiple stints of between two and three hours at the wheel, I was able to climb out a little a stiff, but devoid of back ache. Very impressive. The Insignia also managed some impressive fuel economy. The on-board computer registered consumption of 49.8mpg for the whole trip. And I was impressed to note it managed to make it from our base for the week in Austria all the way back to Calais on one tank. All this despite the usage detailed above. Downsides? Well, I’ll never understand how Vauxhall couldn’t give it a flat boot floor. The bits of chassis bracing that intrude into the boot floor mean you can never slide large cases right up against the back seats, effectively rendering a small chunk of the boot useless. Admittedly, there’s still plenty of space for a family’s luggage for a trip like this, but even so it’s frustrating to have a part of the boot which is so awkwardly shaped. And while the Insignia was comfortable, its road and engine noise levels are still an issue. At 100mph, the engine is truly raucous, as is the tyre roar on some surfaces. Fortunately, the stereo’s good enough to drown out both, but after seven hours of driving, the noise problem can become rather wearing. One other interesting tidbit: Before I left, I also enabled the car’s OnStar concierge system. The subscription is £79 a year, and this seemed a prime opportunity to test its worth. As part of the subscription, you also get an app for your smartphone, which allows you to control a couple of your car’s functions remotely and check its status. One of the great functions of this app is its map function, which allows you to search for and find your sat nav destination. Having done this, you can then send it to the car’s sat nav – meaning you can plan your journey the night before, and then when you jump in the car the next morning, the destination pops up on the screen and off you go. Nifty, no? The app really is the best part of OnStar, in my book. It also tells you your current fuel level, distance to empty, tyre pressures and mileage, plus it allows you to book a service with your local dealer, among other functions. 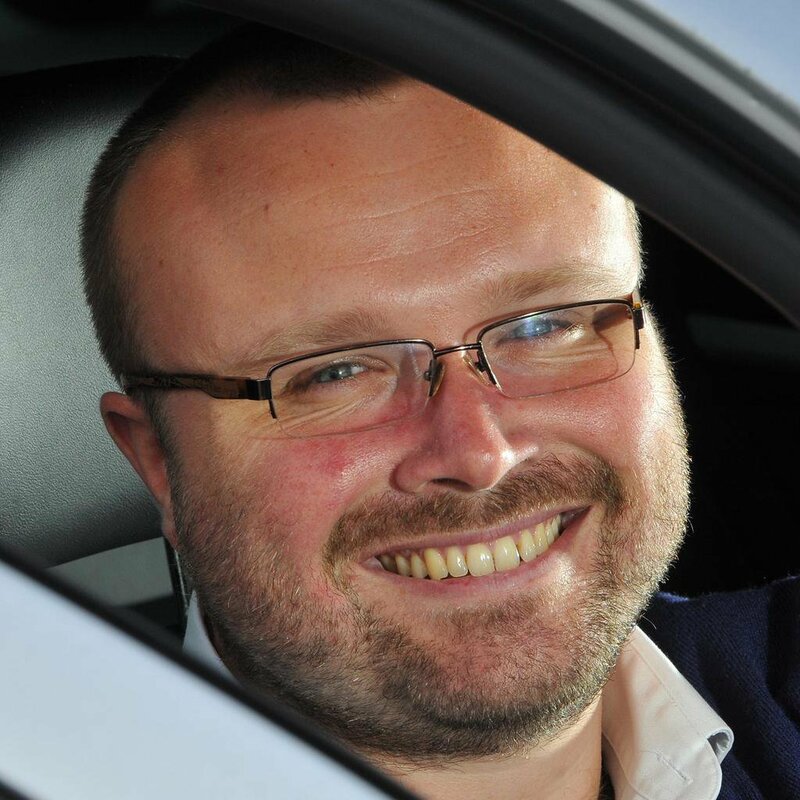 I did try the more traditional concierge part of the service – whereby you press the button in the car to ask for help while you’re driving along, perhaps to find a sat nav destination or somesuch. Connection was quick and easy, but when I asked the assistant to help me find some parking in the centre of Salzburg on our day trip there, all she could do was send the location for the centre of Salzburg to the navigation. She suggested I then search for parking near my destination on the nav screen itself. Frankly, I could have done that without OnStar’s help – or on my phone the night before. Would I pay the £79 a year for OnStar, then? Yes – but mainly for the app and emergency assistance components of the service, rather than the concierge. And what about the car as a whole? Well, as ever, the Insignia did not turn in a flawless performance. It seems consistently to do a half-decent job, but never an outstanding one, and this was no exception. Nevertheless, this trip involved long periods behind the wheel, and if a car isn’t comfortable, capable and easy to live with, that can soon see you falling out with it. The fact that the Insignia and I are still friends speaks volumes.